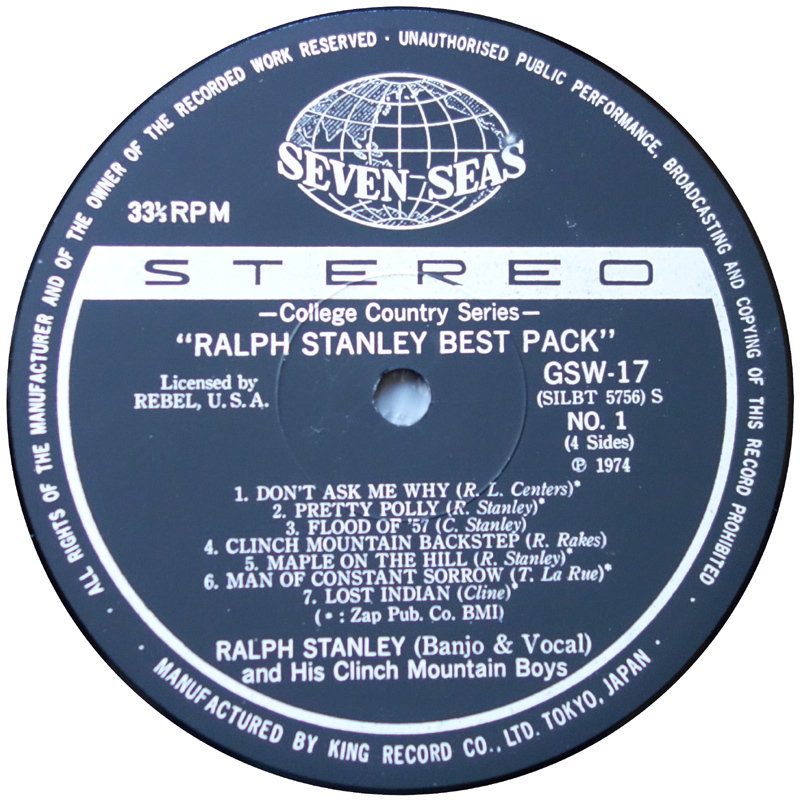 This is a Japanese 2xLP compilation of Ralph's classic early '70s Rebel material, that was released in 1974. 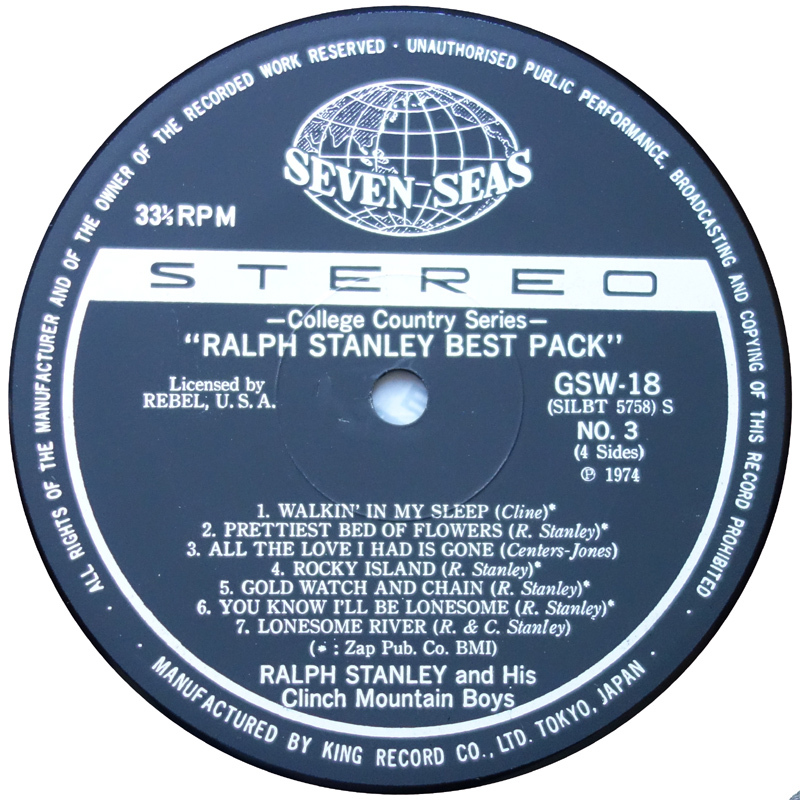 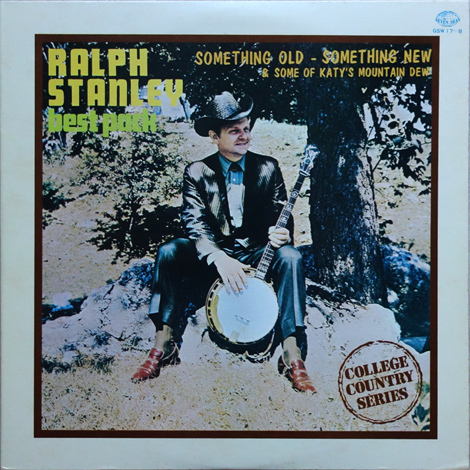 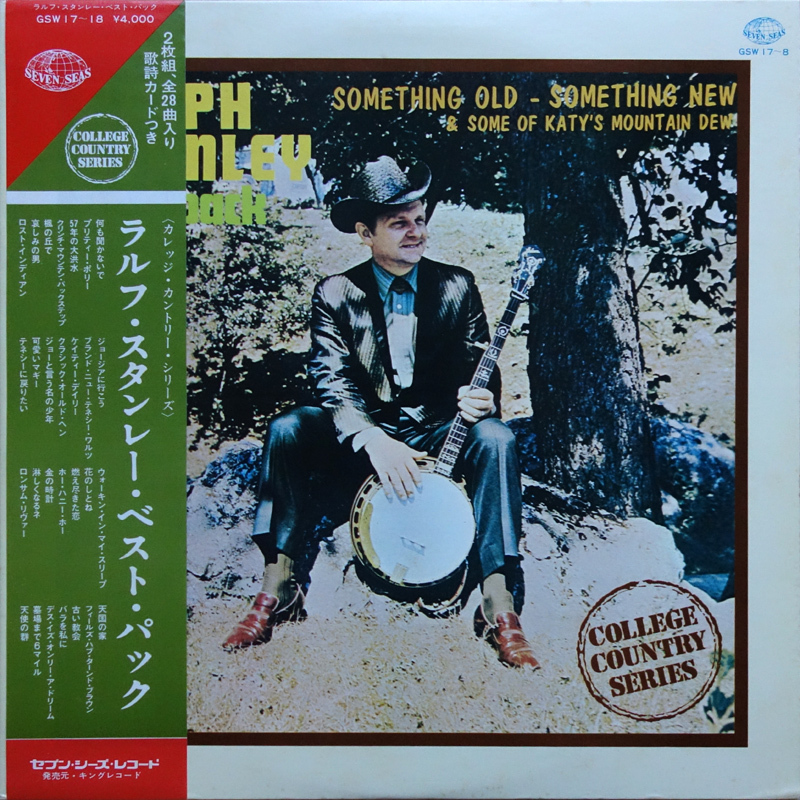 Actually it's the first compilation to appear of Ralph's music, and there wasn't another until the Classic Bluegrass CD came out in 1990. 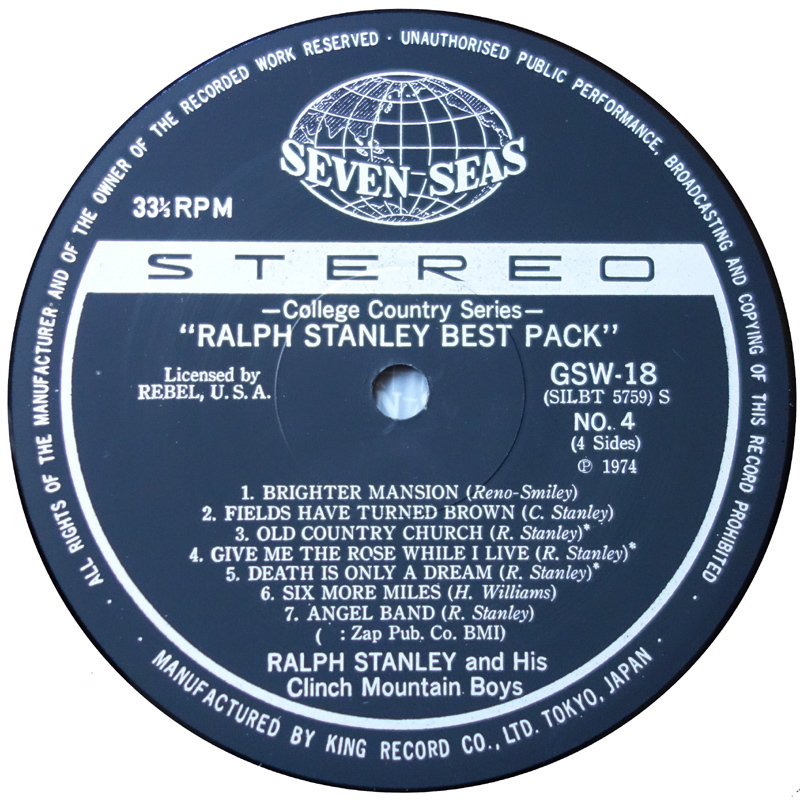 On the front gatefold cover, the artwork is re-used from Something Old, Something New, while the rear makes use of the cropped picture from the back of I Want To Preach The Gospel. 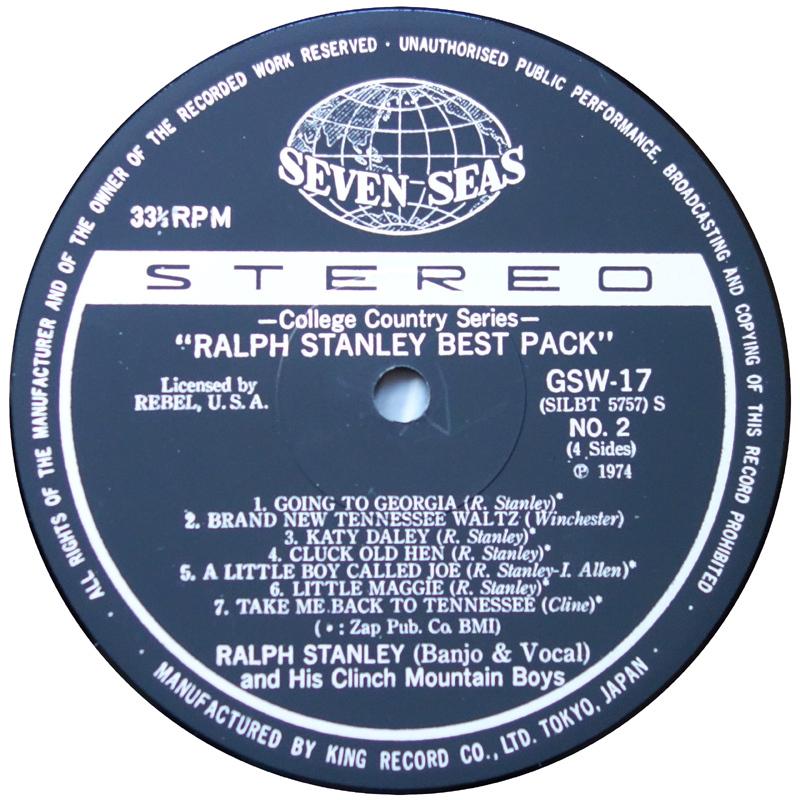 The inside gatefold includes liner notes in Japanese and English lyrics to eight of the songs. 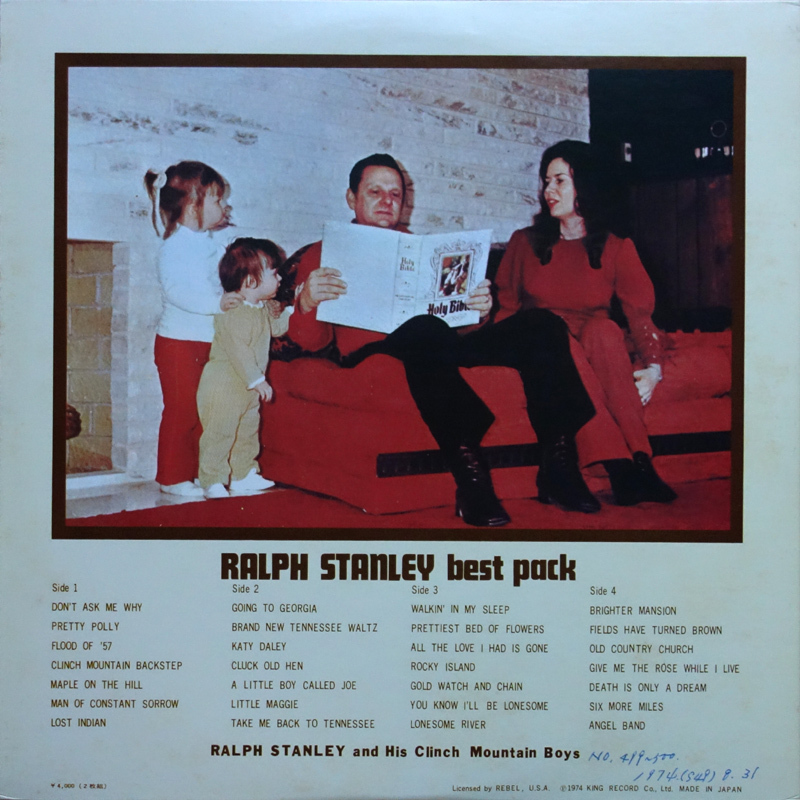 The album is also notable for including three tracks from Curly Ray Cline's 'solo' albums, which the CMB's recorded in the same era, but which are not credited as such on the artwork!